With Apple taking the stage last week and unveiling new products like the new Apple TV and a couple of new iPhones, iPhone 6s and iPhone 6s Plus, what’s been getting the most attention has been a little accessory known as the Apple Pencil. Set as an accessory to the new iPad Pro, the tech giant’s largest tablet computer to date, it’s a very interesting looking device. Steve Jobs would probably hate it, but it comes at a time when Microsoft has been stepping up its game with the surface, and Apple needs to compete. Though we could rant on about its 12.9-inch Retina display and power-packed specs, let’s talk about the Pencil, one of its accessories. 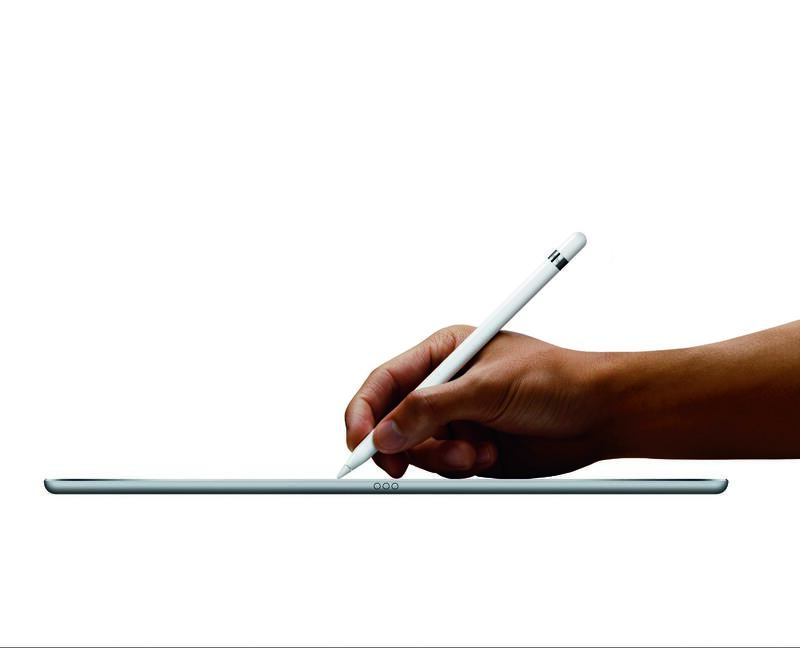 The appropriately named Apple Pencil is a stylus. Yeah right, we’ve had our fair share of styluses in the past decades, and most didn’t seem to make the cut, apart from Microsoft’s Surface Pen. However, we’re talking about Apple here: we would be crazy to suggest it’ll be “just another stylus“. At first, we thought the Apple Pencil will be your simple, humble stylus which might be at the back of its consumer’s minds six months after its release. We were dead wrong. We had a brief chance to try it out, and boy, did it exceed expectations. It felt like a ballpoint pen scribbling on paper. According to Apple, when the iPad Pro senses the Pencil, it scans the signal emitted at 240 times per second, meaning, there are only milliseconds between separating the writing, and its appearance on screen. Did we mention that there’s a wireless radio inside responsible for transmitting signals? 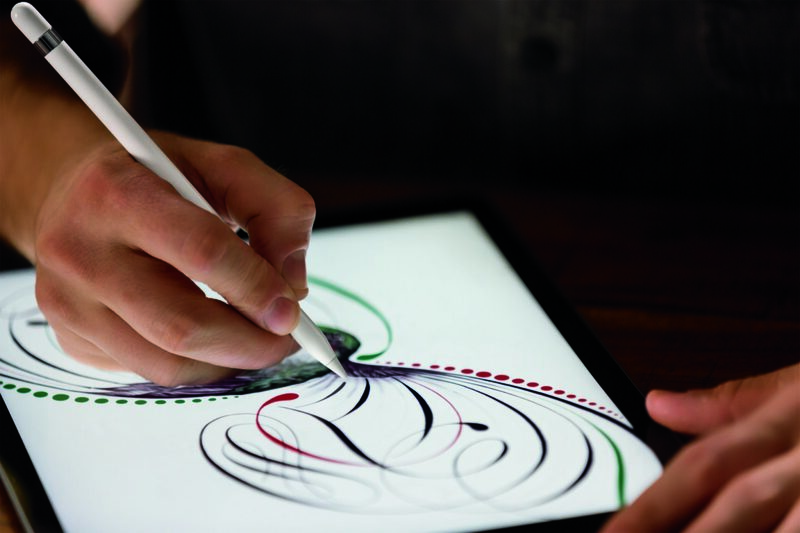 It is pressure sensitive – you can scribble thicker lines by applying a bit of pressure on the iPad Pro’s touchscreen. The Pencil is also equipped with two tilt sensors, allowing you to create a shading effect comparable to using real pencil and paper. It’s not only made for scribbling notes and doing blueprint sketches: it can transform instantaneously into a brush which can change colors in a split-second. This in turn allows you to draw portraits and art masterpieces without having to mix paint and haul a truckload of art materials into your work desk. The iPad Pro features a Smart Connector which serves several purposes, like syncing the device with a third-party accessory and charging the Apple Pencil. If you remove the magnetic cap of the pencil, you will find a Lightning connector. Insert it into the iPad Pro’s Smart Connector and you’ll end up charging the accessory. Since moments spent waiting for electronic devices to fill their batteries is wasted time, Apple eliminated this dilemma by making the Pencil last half an hour in 15 seconds of charging. Yes, you read that right: the Apple Pencil allows you to have a 30-minute drawing stretch by leaving it attached on the iPad Pro for a quarter of a minute. If fully charged, the Pencil can last up to 12 hours. Let’s say you’re creating a portrait featuring your local park. As you meticulously brush the surface of the iPad Pro, you accidentally put your palm on the touchscreen. Fortunately, it won’t be: the iPad Pro features palm-rejection technology which can tell the difference between your hand and the Apple Pencil. You could put an arm on the screen while sketching and it won’t disrupt your work or make a mess. If you’re an architect, artist, or a student of either, you will find the Pencil and the iPad Pro to be one of your must-have items. It will come in handy at work or in the pros – after all, Apple called it “Pro” in the first place. We’ll say it now: the iPad Pro is tabbed at a starting price $799, which isn’t cheap by any means. Add an additional $99, and you will get the Pencil. Would you be willing to pay nearly a hundred dollars for a stylus? Probably, not. But remember, it’s not just any stylus. Unfortunately, the Pencil and iPad Pro are like a married couple: both are optimized and exclusive for each other. Previous iPads, like the iPad Air 2 and the iPad 4, won’t be able to take advantage of what the Pencil brings to the table, making it obsolete if you don’t purchase the iPad Pro. There are currently three, to be specific. These are Notes, Mail, and Paper by Fiftythree (this company also released a Stylus for their app, also called Pencil. Third-party app manufacturers will most likely follow suit and make their software support the Pencil.